Fresh off a successful collaboration with Clipsal 500 and WOMAdelaide, Stargroup (ASX:STL) has delivered its 9th consecutive record quarter of ATM revenue. STL’s per day ATM transaction continued to climb in the month of February, proving there is still life in the ATM industry despite the rapid rise of cashless payments. Revenues achieved by STL by the end of February were 89% of what the company achieved in the last quarter. “We will easily outperform our last quarterly result and achieve a record 9th quarter of growth,” STL Executive Chairman Todd Zani said. 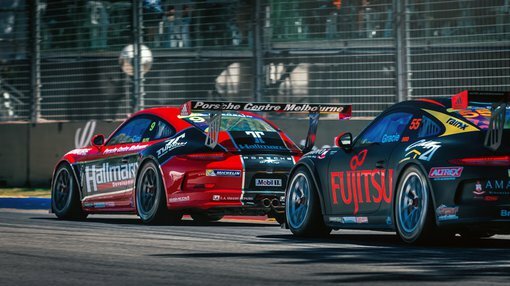 The growth in revenue comes on the back of its contract with the South Australian government to provide 10 mobile ATMs for the Clipsal 500 event. Last year the event was attended by a crowd of 286,500 patrons over the four day event. 2016 is the first year of a three year locked in contract. STL also provided eight ATMs to the highly successful world music and dance festival WOMAdelaide. Organisers of the festival have committed to using STL for their ATMs next year and have also requested the provision of 30 eftpos devices. STL is now on track to outperform the quarterly average of 667 transactions per ATM, which is considered industry best.